Dr. Kaveh Niknia believes in giving back to the community. This year Dr. Niknia helped out with the Miss Newport Beach pageant. Dr. Niknia participates in other community activities as well. 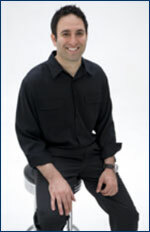 He is a Graduate of Northwestern University School of Dentistry. He has also completed his residency in Advanced General Dentistry at the University of California at San Francisco\'s School of Dentistry.